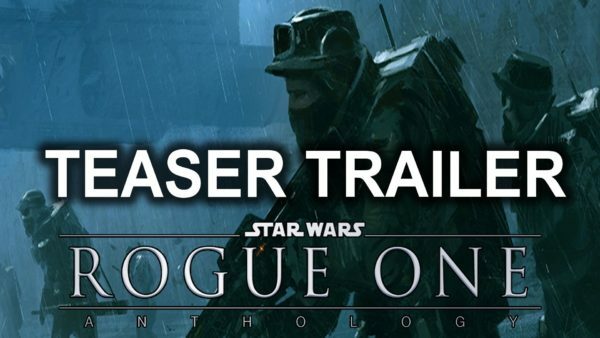 A new trailer for Gareth Edwards’ Rogue One: A Star Wars Story has been released, offering fans a fleeting glimpse of Darth Vader. The spin-off trailer concludes with a shot of Vader and the sound of his trademark heavy breathing. Felicity Jones stars as Jyn Erso, the leader of a Rebel mission to steal the plans for the Death Star. The movie is set before the time of the first Star Wars film A New Hope, released in 1977, and does not form part of the main series. The two-minute promo, which is different from the one shown at last month’s Star Wars Celebration event in London, begins with new character Saw Gerrera (Forest Whitaker) telling Jyn Erso (Felicity Jones) that “the world is coming undone”. The trailer goes on to show Jyn Erso and Cassian Andor (Diego Luna) being told about the mission for which they have been selected. Subsequent scenes feature a new robot character voiced by Alan Tudyk, a blind warrior played by Hong Kong action star Donnie Yen, and an Imperial Walker being struck by a missile.